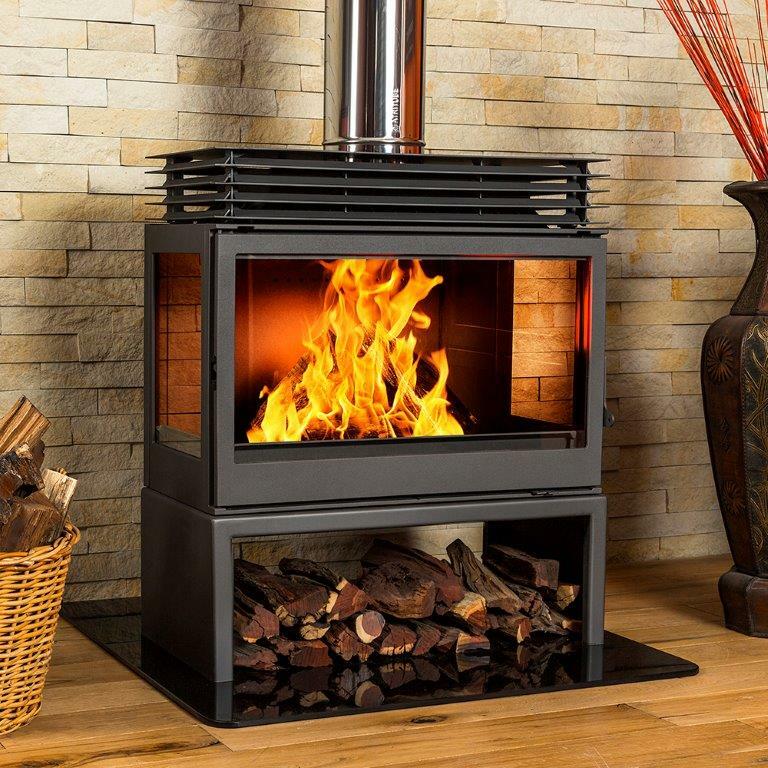 The largest model in the Hydrofire Free Standing fireplace collection, the Titan Side Glass makes a captivating feature in any home, with glass panels on the front and sides revealing a better view of the fire, and more space to huddle around it and enjoy the warmth emitting from the huge combustion chamber, which can fit large logs up to 700mm inside. Fully cast iron, this high end fireplace is extremely powerful and can heat a medium to large space with ease. All our fireplaces are imported from Europe and boast a strict CE certification, so you know you can rely on the quality of any unit you purchase from Hydrofire. Just to ensure you sleep well at night, they come with a 5 year warranty too.